The new 620D Luxury Line is priced at Rs 63.90 lakh. Gets a 2-litre twin-turbo diesel. Loses some features compared to the 630D twins. Comes equipped with active aerodynamics. 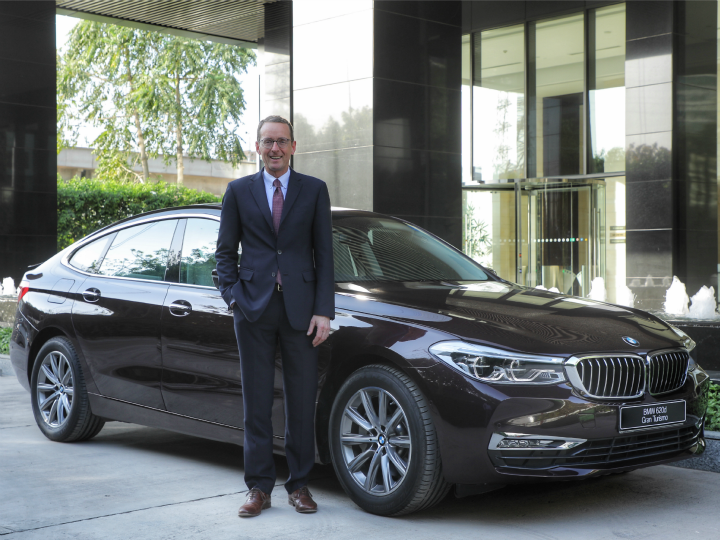 BMW has launched a new entry level variant of its 6 Series Gran Turismo. The 620D will now be the entry level model in the 6 Series lineup, accompanying the 630i and 630D. Launched in one variant, called Luxury Line, it costs Rs 63,90,000 (ex showroom, pan India). With the introduction of the new diesel variant, you now get three diesel variants -- 620D Luxury Line, 630D Luxury Line, 630D M Sport -- and a sole petrol variant -- 630i Luxury Line -- of the 6 Series. The 620D comes equipped with a 2-litre twin-turbo diesel engine mated to an 8-speed ZF automatic gearbox producing 192PS and 400Nm of torque. Propelling the rear wheels, the 620D sprints to 100kmph from standstill in 7.9 seconds. The 620D also comes equipped with five driving modes, namely Sport, Comfort, Comfort+, Eco Pro and Adaptive. These alter the various parameters of the car to provide the driving experience of your choice. The 620D also comes with features to aid the aerodynamics of the car. These include an active air flap for the kidney grille and an active rear spoiler. Features on the BMW 620D include a BMW display key, an 8.8-inch instrument display, BMW iDrive with a 10.25-inch touchscreen infotainment system, Apple CarPlay with wireless functionality and rear view camera with parking sensors. The 620D loses some features and comes with a smaller engine compared to the 630D twins. Have a look at the table below to help you make up your mind. While the 620D loses out on some bells and whistles, it does significantly lower the price point for the diesel-powered 6 Series. It will go up against the Mercedes Benz E Class, which is priced at Rs 59.94 lakh (ex-showroom Delhi). Share your experiences with 6 Series?